Delicious breakfast, comfortable room, great walking distance from town center. Would recommend. Enjoyed our stay at Ardree House. Great location - a two minute walk to downtown Killarney and a short five minute drive to Killarney National Park. The price was ideal and rooms were very nice. The traditional Irish breakfast was fantastic. Ross Castle and horse racing tracks are also within walking distance. 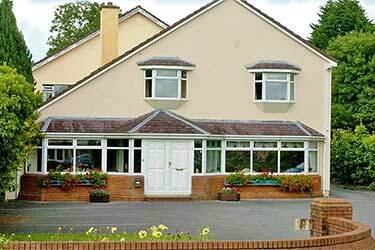 I highly recommend the Ardree House to anyone looking for a comfortable and convenient stay in Killarney. This was a very nice place, good location, decent price. The staff was friendly. They gave great advice about the Ring of Kerry... they strongly suggested going around counter-clockwise. Great idea!... they also recommended taking the Skellig Ring drive. Another great idea! Do it!! You will not regret it. The Ardree House was perfect for us in every aspect. I can highly recommend it. Everything was perfect, very clean and nice. I will go again to Ardree House B&B very soon. :, Thanks so much for everything. Had a nice stay. Location was perfect. Liath was very helpful. Nice breakfast. Wonderful hospitality..immaculate rooms and delicious breakfast. Short walk to town..highly recommend. We had a wonderful stay at Ardree House. It is perfectly situated, comfortable, and clean. We received a warm welcome and great breakfast each day. Would highly recommend. We had a lovely stay at the Ardree House - we actually stayed at the cottage next door. Breakfast was wonderful and the hostess was extremely friendly and helpful. The location was good - a bit of a walk to town, and we were advised by the locals to just take a taxi back after dark. The beds were comfy and we had a good night's sleep. I wouldn't hesitate in recommending the Ardree House. Overall, I was very pleased with my stay. Everything worked well and I can think of no criticisms to offer. The location was so close to the town center which was particularly convenient. What a great B&B. En-Suite room inculding a bubble-bathtube were big, breakfast was delicious and the location was great. Very central but still quiet. Enjoyed it very much! We loved this B&b. Great accommodations. In walking distance to everything. My clients loved their stay! Everything was good. Especially the breakfast. Glutenfree bread and cereals was available. Clean with nice breakfast. Staff was helpful. Location is very close to the town. Would recommend that shower in room #4 be repaired as water pressure was very inadequate. When we arrived @ about 3 PM, room was very cool. Staff said the heat goes on @ 5 PM. Gorgeous room and house. The breakfast is a disappointment given that everything else exceeds expectations. We stayed three nights at the Ardree House in September and enjoyed our stay very much. We were only a few blocks from Killarney city center, and found the location so handy for trips to and from. Everyone was very helpful and got us going on our way each day. Breakfast was good and plentiful. We would stay at the Ardree House again. Had a wonderful time in Killarney. Ardree House turned out to be a very pleasant experience. Nice spacious rooms. Good breakfast. Excellent service. Highly recommended. Very warm welcome but thereafter more business efficient. Seemed that this B & B and neighbouring one, Abbey Lodge are under same ownership and have been knocked into one large business. Breakfast was cooked well but rather rushed. Ordered toast arrived as cereal was being chosen and cooked food prior to completing eating cereal. There was no sign of owners other than at arrival. Advised tea making facility in lounge. To use it meant a walk of many yards of bringing kettle back to room to fill then returning with the made drink. There is no water supply next or near to the kettle. Would have preferred a hotel than a quasi B & B /Hotel. Very convenient location to the centre of Killarney. Pleasant room. No air-conditioning and someone in another room below ours would "step" outside to smoke---and it drifted up and into our room. Plenty of parking so you could leave your auto, and explore on foot. Our third stay in five years. Great location within walking distance to Main Street. Nice rooms, WIFI, great breakfast, and communication. Since we had to be at Shannon Airport early to catch a flight, they left us fresh fruit and brown bread for breakfast. Ardree House is one of our favorite B&Bs in Ireland. We are planning to visit Killarney again in March 2014 and will book with them again. Highly recommend the Ardree House. Very nice breakfast. Bedrooms were suitable. I didn't really like being on the third floor because it was warm when we visited. Staff was polite. Good accommodation, John is very friendly. We had a multiple different choices to order from for Breakfast, that was really nice. Around 9am the first day it was very busy, we got up earlier the secend day and it was fine. We would stay here again next time. This was my first time here. Well done, clean, close to the center of town. Very professional - almost on the level of a small hotel. Very comfortable stay, quiet, good breakfast and within walking distance to the town centre. Great offer of food for breakfast and very kind owner. Near the city centre. I had a wonderful stay at the Ardree House. The staff was pleasant, and the breakfast was delicious. The bed was a tad uncomfortable but overall a great room for the price. I would definitely stay here again. Comfortable, nice decoration and atmosphere, but the proprietors weren't very friendly. They didn't even show us round the house, particularly where breakfast would be served. No interaction beyond answering the door and then taking payment. Not what we expected at all.